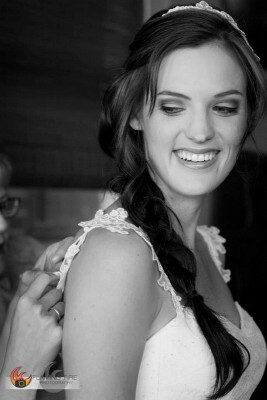 Here is a behind the scenes look at a bride’s wedding dress I designed & made recently (she is already married, so don’t worry, I don’t share photos before a bride has had her actual day). I am waiting for the real wedding photos (can’t wait) but this is a sneak peak of what it looked like while still being made. 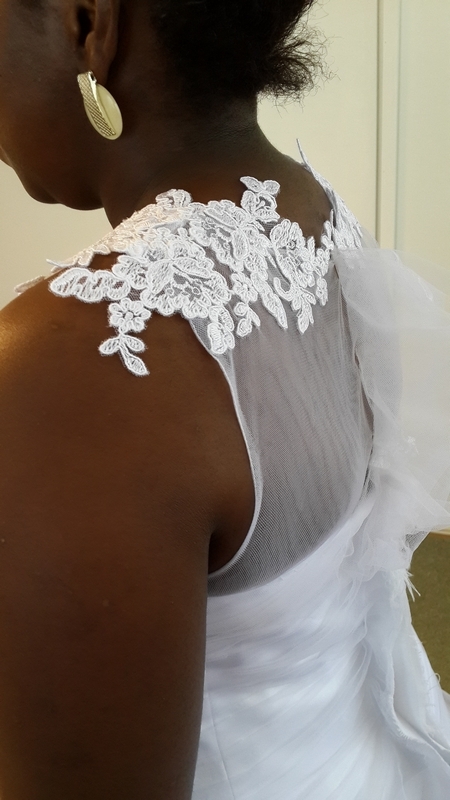 Her wedding dress featured an illusion shoulder strap & back with strategically placed Chantilly lace applique’s.